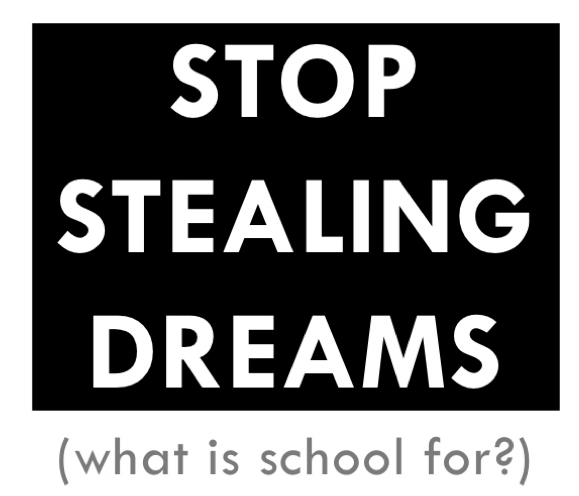 So as not to overwhelm anyone with too long a post, I have divided my collection of quotes from Seth Godin’s Stop Stealing Dreams into two parts. I for one can only read so much at a time and would not want anyone to cut out from reading too early. So, here are the rest of the passages and quotes that I found thought-provoking. Section 46: I am wondering when we decided that the purpose of school was to cram as much data/trivia/fact into every student as we possibly could. We’re not only avoiding issues of practicality and projects and hands-on use of information; we’re also aggressively testing for trivia. Section 47: Then, though, as we got smarter about the structure of thought, we created syllabi that actually covered the knowledge that mattered. Section 64: The industrial model of school is organized around exposing students to ever increasing amounts of stuff and then testing them on it. Almost none of it is spent in teaching them the skills necessary to connect dots. Section 65: The notion that each of us can assemble a network (of people, of data sources, of experiences) that will make us either smart or stupid—that’s brand new and important. What is the typical school doing to teach our students to become good at this? Section 70: What’s the point of testing someone’s ability to cram for a test if we’re never going to have to cram for anything ever again? The next day at school, teachers can do what they want to do anyway—coach and help students in places they are stuck. In a school like this, the notion that every student will have to be in sync and watch the same (live!) lecture at the same time will become absurd. Section 72: What we can’t do, though, is digitize passion. We can’t force the student to want to poke around and discover new insights online. Without school to establish the foundation and push and pull and our students, the biggest digital library in the world is useless. Section 73: When students can get patient, hands-on, step-by-step help in the work they’re doing, they learn more. Section 74: The role of the teacher in this new setting is to inspire, to intervene, and to raise up the motivated but stuck student. Instead of punishing great teachers with precise instructions on how to spend their day, we give them the freedom to actually teach. Section 77: The lesson to the kids is obvious: early advantages now lead to bigger advantages later. Skill now is rewarded, dreams, not so much. If you’re not already great, don’t bother showing up. Section 82: School serves a real function when it activates a passion for lifelong learning, not when it establishes permanent boundaries for an elite class. as the world changes ever faster, we don’t reward people who can slavishly follow yesterday’s instructions. All of the value to the individual (and to the society she belongs to) goes to the individual who can draw a new map, who can solve a problem that didn’t even exist yesterday. Section 85: once someone becomes passionate about a goal, she will stop at nothing to learn what she needs to learn to accomplish it. Section 90: When we associate reading with homework and tests, is it any wonder we avoid it? If you want to teach kids to love being smart, you must teach them to love to read. Section 97: If the training we give people in public school or college is designed to help them memorize something that someone else could look up, it’s time wasted. Section 101: Real learning happens when the student wants (insists!) on acquiring a skill in order to accomplish a goal. Section 102: When access to information was limited, we needed to load students up with facts. Now, when we have no scarcity of facts or the access to them, we need to load them up with understanding. Section 104: Real learning happens in bursts, and often those bursts occur in places or situations that are out of the ordinary. Practice works because practice gives us a chance to relax enough to make smart choices. Section 113: Is the memorization and drill and practice of advanced math the best way to sell kids on becoming scientists and engineers? 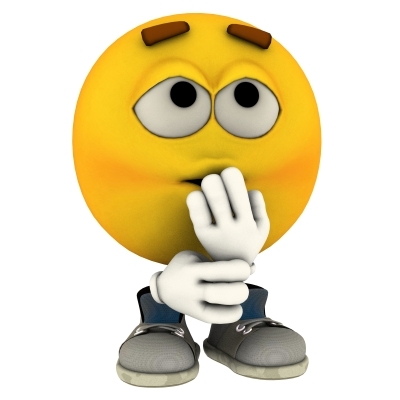 Section 114: Just wondering: what would happen to our culture if students spent 40 percent of their time pursuing interesting discoveries and exciting growth opportunities, and only 60 percent of the day absorbing facts that used to be important to know?